Founded by two Stanford lawyers turned wedding planners, Downey Street Events is a growing, full-service wedding design studio for clients in the Bay Area and beyond. 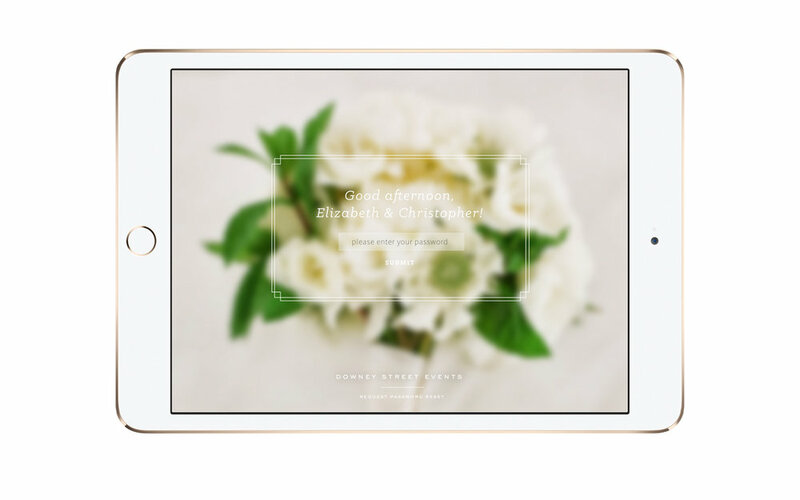 With proximity to Silicon Valley and a luxe clientele, the duo approached me about a custom wedding planning app to on-board new clients + keep couples' documents and timelines in order. Utilizing photography from their past events + watercolor illustrations, we created a classic, seamless interface that speaks to their brand aesthetic for both client-facing and internal organization. Within the app, couples can access important spreadsheets and documents, complete vendor questionnaires, schedule meetings, and pay invoices all through a convenient dashboard. Planners are able to customize dashboards to their clients' needs and preferences as well.